You definitely do not want your child to change any of the controls on your iPhone or android, so consider disabling the control center. This will ensure that they can’t turn on airplane mode (or turn it off, if you’re on a flight), and they won’t be able to switch on Wi-Fi, or lock the phone. This is perfect for when you hand your little one the phone so that they can play with app or watch a video. Restrictions is a feature of iOS phones that allows you to have control over many of the other features and functions. From your iPhone, go to General, and then Settings, and choose to Enable Restrictions. You can then set up a passcode that allows only you to access the setting changes. You can disable the phone’s camera, FaceTime, and the Safari browser. You can also set it so that app purchasing is not allowed, and the iTunes store will be disabled. It’s a great way to ensure that you have greater control over your iPhone’s functions. Giving your young child unrestricted access to the internet is a scary thought, so go ahead and disable Wi-Fi before you give it to them. While there are a few apps and some kid friendly websites that need Wi-Fi access in order to run, it may be best to choose apps that don’t just so that you won’t have to worry about it. You can have peace of mind when you let your child play their favorite games or use learning apps when you know that they can’t accidentally open up other websites and browse the web. A family tracker is an excellent tool to child-proof your phone, and it comes with many other advantages, as well. 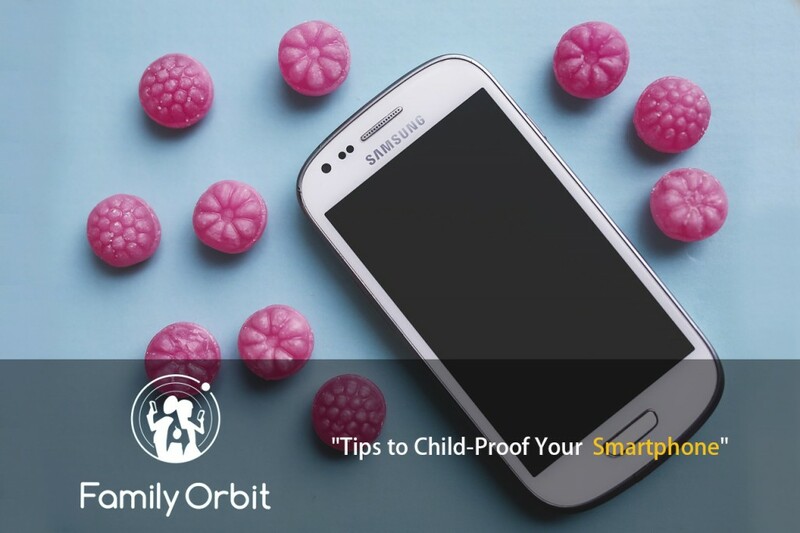 When you use a family tacker designed specifically for iPhone and android, like Family Orbit, you can control what your child can do with their phone. Not only can you keep them safe, but you can also make sure that they aren’t able to change up the settings or purchase apps. Family Orbit allows you to monitor their activities, their real-time location, and more. It’s a great tool for maintaining control of the whole family’s mobile phones. When you go to hand your iPhone or android over to your child, you can have confidence that they won’t be able to do anything beyond what you want them to do. By taking some simple steps to protect your device, you can easily child-proof your phone.